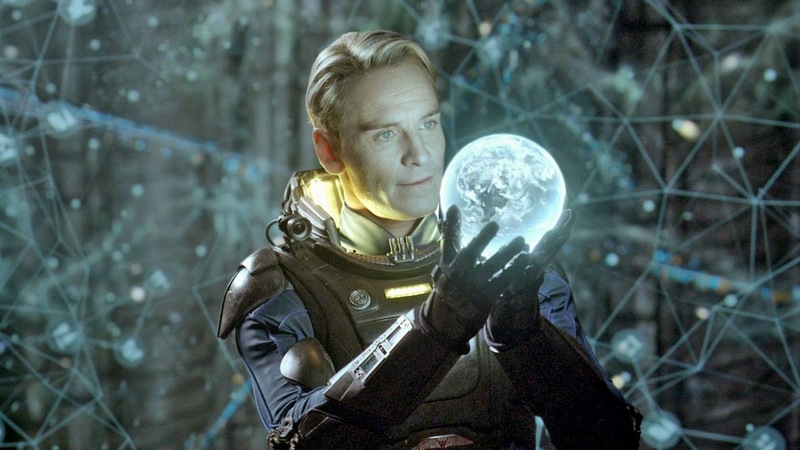 Prometheus – someone who definitely was caught between a rock and a hard place. This film has its problems, too. I didn't really connect with the characters. The idea that we are descended from aliens was explored previously in books (Chariots of the Gods), TV (the X-Files), and film (2001: A Space Odyssey). There are some plot questions: Why do the aliens need to disintegrate one of their kind to alter the gene pool at the dawn of man instead of just adding the DNA to the environment? Why are there cave drawings of the aliens pointing us to a world that is not really their own, but which may be a weapons development planet? If you have answers, please let me know. However, there is an interesting theme here, namely, the old Greek warning against hubris (excessive pride). The Titan Prometheus stole fire from the Gods to give it to humans – obviously a presumptuous act – for which he was tortured by being bound to a rock and having a bird tear at his liver. Here, the spacecraft in the film is named after him. He is referenced in the movie by one of the scientists, who basically says the ancient thief's time has come. This statement implies scientists want to find divine powers and make them their own. So, they go off to the planet to find our extraterrestrial parents. However, we discover that our otherworldly ancestors are not to be admired. They have a serious God-complex. They have a large sculpture of themselves, not of God, in their cave, indicating they worship themselves. They intervene in other worlds and create life and then decide to destroy it. Why? The film leaves it open – but it could be that they are just emotionally detached scientists, too (although technologically advanced ones), conducting experiments, which, in the end, destroys them. The android in the film is called David, who admires the movie Lawrence of Arabia because Lawrence is able to tolerate pain. How does he do it? The secret is "not minding" – what a good line for a cold hearted robot. Lawrence also fashioned himself somewhat of a god, intervening in another culture's world. David asks one of the scientists on the ship why create something (ironic, since humans made him and he is thus questioning his own creation). The scientist responds by saying, basically, because he can. It appears the apple does not fall far from the tree. David, the unfeeling robot, the offspring of humans, also performs experiments without concern for the individuals involved, spiking the drink of one of the scientists with deadly mutating goo, which leads to Noomie Repace's character becoming impregnated with the prototype of the creature in the Alien films (Ridley Scott is the director here, too). She cannot give birth to a human baby. She can only gestate a monster, indicating that her science creates abominations when ego outweighs good judgment. It is interesting to note that it is the nonhuman David who takes her crucifix, which symbolizes her deference to a power greater than her own, which at the end she takes back, her original belief having been vindicated. But, aren't all of the Alien films about overweening pride? Don't they all say that things would have been fine if we hadn't gone where we shouldn't have intervened, and awakened the sleeping dragons? However, Repace's character goes off with David at the end to seek the beings that seeded the earth with their DNA. She hopes to find out why they wanted to destroy us. David asks what's the difference. She says she is human and he is a robot, and she needs to know. Hasn't she learned anything from what has transpired? Or, is it, despite the possible hazardous consequences for the quest for knowledge, it is in our nature to keep exploring for answers? Next week’s movie is Alfred Hitchcock’s Spellbound. 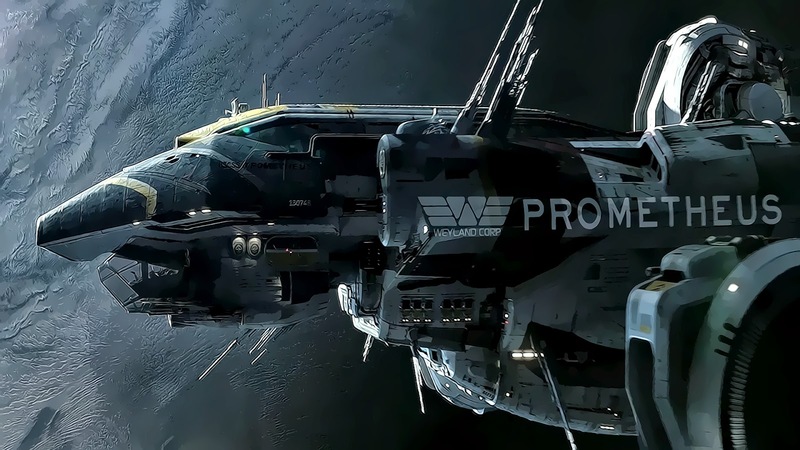 The younger Guy Pierce appears in the vid that's played for the ship's recruits, where he brags about the pyramids he's built; there were also trailers made that starred Pierce, young, making fun of the fascist-arena TED sort of tech announcement spectacles; Prometheus was in conception 3x the movie it wound up being cut down to. I'm actually angry at Ridley Scott for that: I've gotten no sense that he weathered that as a storm & will put out a director's cut, it's more like he threw up his hands. But, watching it just as it was released, it's a masterpiece of provocativeness - & then there's like 1 30-second fuzzy clip of what the architect & Pierce say to 1 another that damn if it doesn't really make so much sense of the rest, crazy that that was what somehow was taken out. & it completes the original Alien ideas. 1st level of disappointment: cute, human species, that you've so hopefully launched yourself into space to say Walt Disney hello to it - well, it just wants to kill you; 2nd level of disappointment: nice, human species, that you've found yer dad, the genetic architect who made you - sorry tho that it turns out yer dad thinks your birth was such an abomination as a species that, now it's clear you still exist, it's sending better abominations to wipe you out, with apologies to the galaxy for your brief existence. Fantastic items from you, man. I've take note your stuff previous to and you're simply extremely fantastic. like what you are saying and the best way wherein you are saying it. I can't wait to read much more from you. That is actually a great web site. Thanks for your encouraging words. Feel free to pass on your feelings to other film enthusiasts. I really enjoy analyzing movies and I learn so much by hearing the thoughts of others. you're in point of fact a good webmaster. The web site loading velocity is amazing. The sites I list on the right hand side of the blog page are ones I enjoy visiting. I enjoy Carrie Rickey's posts on Facebook, also. I use IMDb for research, and visit the TCM page. It definitely has it's shortcomings. I liked the themes. I guess we'll have to see if the next installment is more successful.